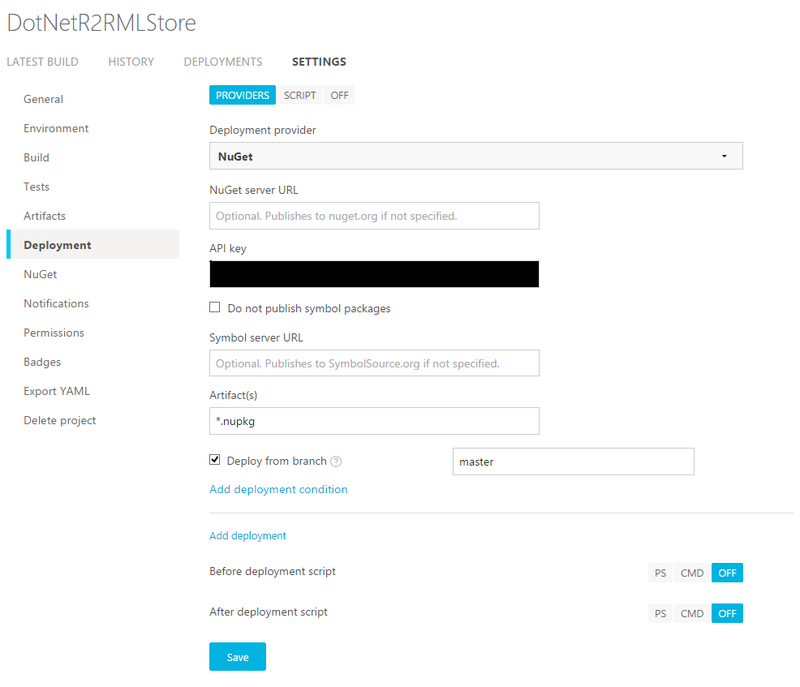 I am using the standard nuget deployment, configured using website. In the attachments you can see the logs, settings etc. from the builds. 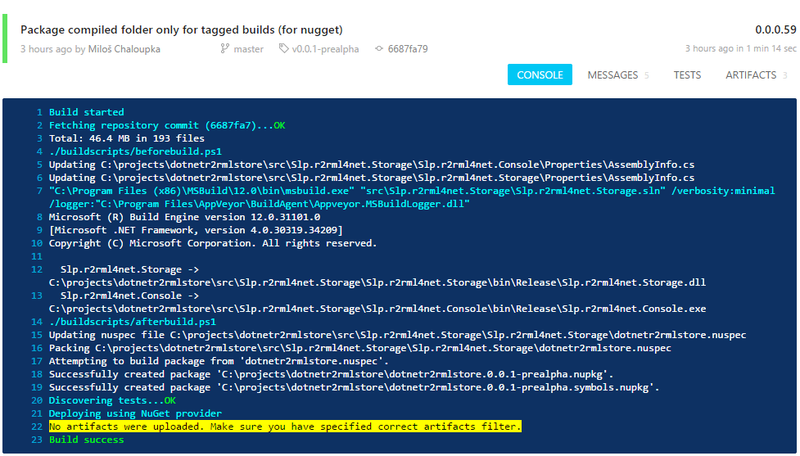 The artifacts are correctly created (using powershell script), but they are not found by the Nuget provider. Btw, thanks for screenshots that helped quickly identify the issue. Thanks you a lot. And thanks for the Appveyor CI, it is a great service.